The POWERSYNC Energy Solutions mission is to be leaders in the design, development, and deployment of energy collection, conversion, and storage systems for and beyond renewable energy applications. Our End to End Services: Our comprehensive experience in design services give you access to an engineering program which is focused on helping to improve your product, project performance and return on investment. POWERSYNC will help you gain a competitive advantage and exceed your expectations for end-to-end OEM and renewable energy solutions. Our Energy Storage Solutions: Our signature energy storage systems are designed to provide a unique approach to supporting OEM, residential, commercial and utility scale renewable energy projects and beyond. 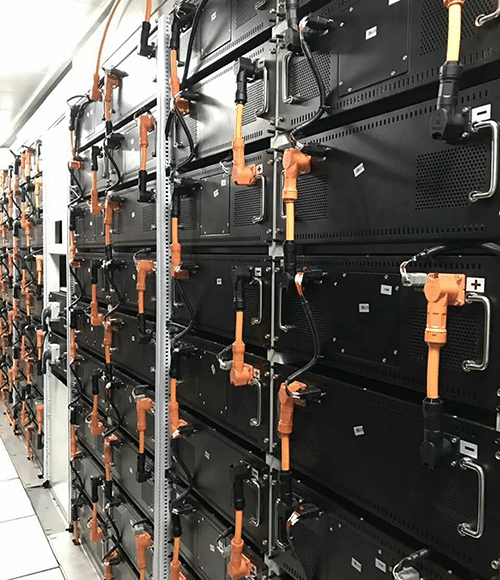 Our energy storage systems achieve a proven advantage in the areas of energy storage including ease of installation, scalability, flexibility, and availability. With our POWERSYNC energy solutions our customers reduce their overall total cost of ownership and improve energy efficiency. © 2019 POWERSYNC Energy Solutions, LLC. All rights reserved.